Welcome your guests with a premier, in-room guest services directory. 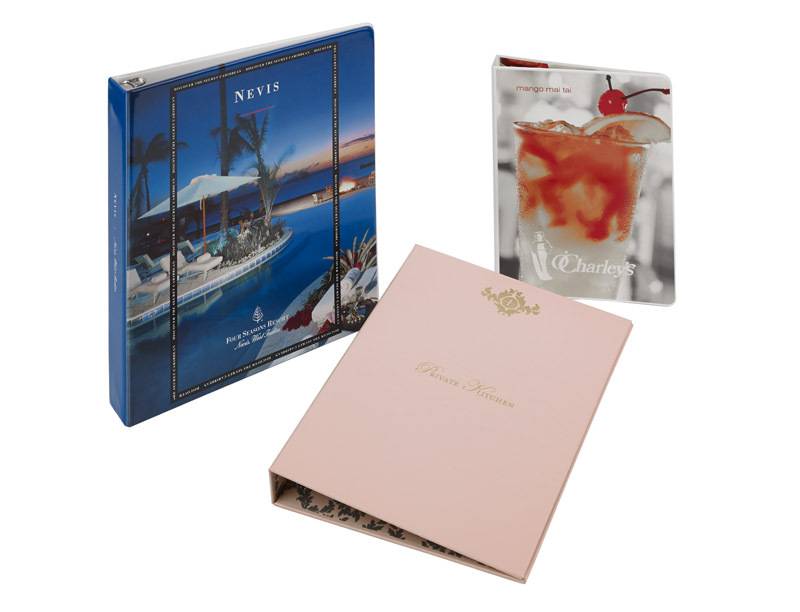 Our expertise in creating attractive directories and supporting collateral items represents a valuable resource that addresses all your in-room, restaurant or banquet needs. The Union Group offers a variety of guest services directories that can be sized and designed to create truly unique presentations for your valued customers. Count on our design staff to create one that truly complements your brand. Stitched edging adds a finished look. We offer everything you need when it comes to hospitality items. Contact us today for immediate service or to discuss the many options that Union makes possible.